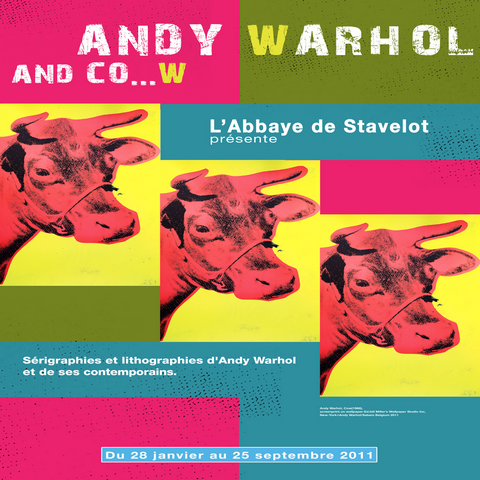 This September marks the close of the Andy Warhol and co…w exhibition at Brussles’ L’Abbaye de Stavelot. The gallery has a fantastic selection of original pieces from private collections and some of his most popular pieces; they have been on display since late January. Warhol is acclaimed as the vanguard of the Pop Art movement; his work spanned multiple forms from prints, to film and literature. called a legendary in his own lifetime he was already well established as an icon by the time of his death in 1987. His 1963 canvas Eight Elvises sold for a cool US $100 million, putting him right up there as an artist (pricewise) with the likes of Picasso, van Gogh and Renoir. Price of entry is just €5, it is open every day and comes to a close on the 25th September. The Port of Rotterdam is well-known among the maritime community, and the point of arrival for hundreds of tourists every week. The next time you take a trip with P&O Ferries to visit the Netherlands, you might want to plan in a bit of time to cruise around the harbour itself – it’s well worth it. As one of the largest and busiest harbours in the world, you might think that the Port of Rotterdam might be slightly inaccessible to the general public – nobody wants to get in the way of those supersized vessels. However, Spido offer a number of different cruise options around the harbour. From short excursion along the main points of interest to longer, relaxed tours, there is something there to fit everyone’s schedule. The extended tour encompasses all the workings of a modern harbour: from shipbuilding sites to dry docks and containers, you will get an impression of everything that goes on at the Port of Rotterdam. 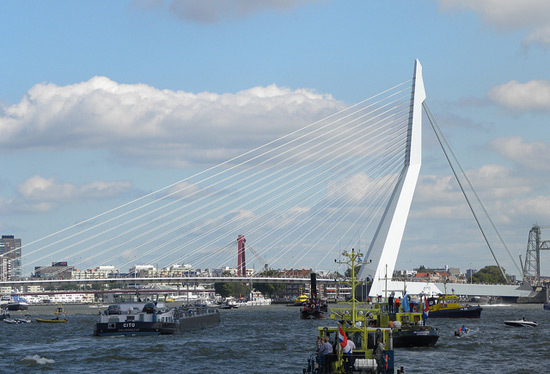 As well as excellent views of Rotterdam’s modern skyline, you will pass by the largest vessel ever built in the Netherlands, De Rotterdam. This impressive vessel used to be a cruise ship back in the 1960s and is now being used as a hotel, but visitors can still visit parts of it for free. During the extended tour, there will be catering available in the form of sandwiches, drinks, ice cream and apple pie. You can also opt for a package trip, one of which takes in sights from both land and sea – you start off on a tram tour around late morning, then set off for a 75-minute harbour tour, after which can sit down for a hearty brunch. 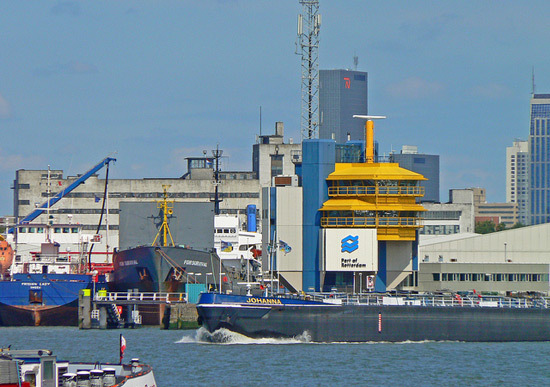 The Port of Rotterdam is P&O Ferries’ Dutch port. To get there, you can take a P7O Ferry from Hull for a 5-day stay in the Netherlands for only £154 each way, which covers a car and two passengers. The 17th-18th of September are dedicated European Heritage Days in France. The European Commission and the Council of Europe have banded together all the signatory states of the European Cultural Convention to open the doors to all National Heritage Sites free of access to the public, including some locations typically closed to tourists. This is an excellent opportunity for you to get some unique sightseeing done on a budget. The open locations include magnificent feats of architecture and coordination between neighbouring regions and countries. As France has over 16,000 locations listed, you’ll be able to visit historical sites, and monuments, more modern architectural wonders and places of aesthetic appeal. 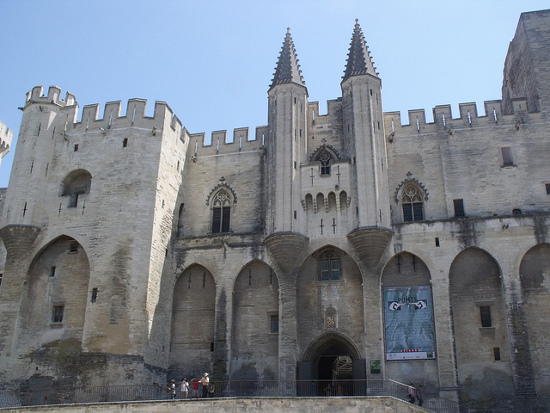 The European Heritage Days of 2011 are dedicated to architects, artisans and curators, in a bid to raise awareness of both environmental and architectural heritage in France. This country has a rich national history and identity that has drawn visitors from all across the world and Heritage sites are hot spots to get a feel for France’s history and development. This is a great chance to sample the man-made wonders of France and receive an education on its history and preservation. There will be thousands of events to attend including concerts, conferences, exhibitions and workshops for children. 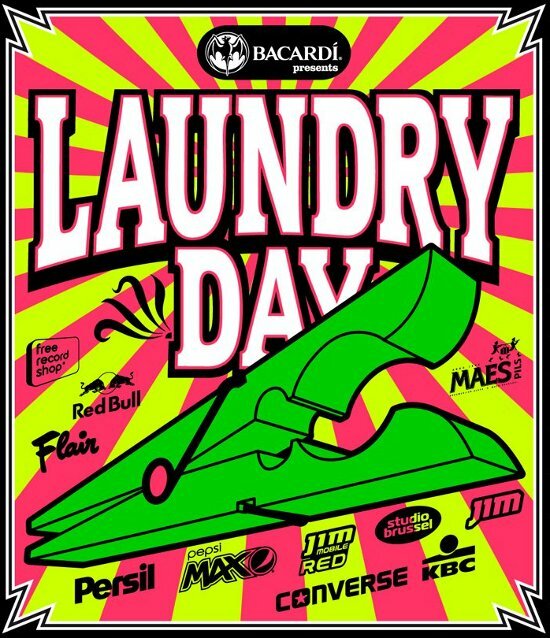 Laundry day, one of the largest festivals to engulf Antwerp with over 60,000 in attendance last year. This event began with just 200 people in 1998 having a party in the street and has evolved in to an international affair, this year with 13 stages and a circus. On the 4th of September 2011 over 200 DJ’s will be performing across these stages over the course of the day. You may be asking why it is called Laundry Day. The festivity is a modern day alternative to the tradition of laundry days, where washer women would gather to hang out wet clothes enjoy a good chat with their neighbours and make a run-of-the-mill chore a little more enjoyable. The streets for Laundry day this September will be decorated with brightly coloured clothes and though there won’t be a great deal of housework going on the spirit of the laundry days of old is still there. The events kick off at midday, you can buy presale tickets for € 28, 00 there’s to a be an impressive lineup of DJs in particular Basement Jaxx will be headlining. P&O Ferries can get you to Belgium via their Hull to Zeebrugge service so you can get your laundry done. In the face of Hollywood blockbusters filling our own cinemas, you could be forgiven to think that European cinema is stagnating – but you’d be wrong. An opportunity to realise the extent of this common misconception presents itself at the Netherlands Film Festival 2011, to be held from 21st September onwards in Utrecht. A mid-sized, metropolitan city, Utrecht is the perfect host for a film festival. The Netherlands Film Festival has been going for almost 20 years and has been a great champion of Dutch and European films. This year’s affair will feature a panel led by Danish TV producer Sven Clausen (who recently produced a well-received documentary about female German footballer Fatmire Bajramaj) and other workshops and cocktail receptions. The Netherlands Film Festival again promises to be an exciting event for everyone interested in Dutch and European cinema – there will be more than 400 feature and short films on display in fifteen venues, and the two most prestigious awards in the Dutch Film industry, the Goulden Kalveren, will be presented during the course of the festival. The film The Gang of OSS will open the festival. 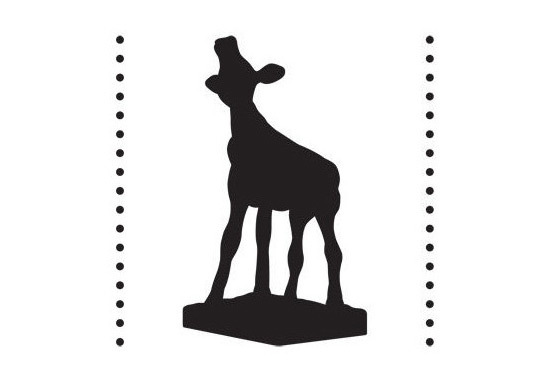 The Netherlands Film Festival 2011 takes place from 21st to 30th September in Utrecht. To get there, you can take a P&O Ferry from Hull to the Dutch Port in Rotterdam, from where it is only half an hour’s drive to Utrecht. Along with the end of the Summer (might as well face up to it) come the sales and all the frantic bargain-hunting that goes along with it. 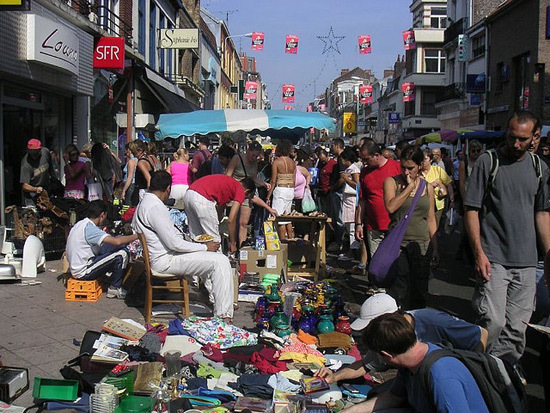 During the first week of September, however, you could go on a cheeky bargain trip to Northern France, where over a million visitors haggle to their heart’s content at one of Europe’s largest flea market. The Braderie de Lille is legendary for the huge number of stalls (more than 200km) and visitors (around 1m) it attracts every year. This year, the Braderie occurs on 3rd and 4th September. Lille is the capital of the Nord-Pas de Calais region and only a short drive away from Calais, P&O’s French port. Among the city’s squares, pavements and the many Flemish buildings and cathedrals, there will be hundreds of stallholders offering their wares, and bargain hunters from all over the world to inspect items, haggle over them, and walk away either cursing themselves or whistling with the knowledge of having secured a gem in the shape of an antique rug, a handbag or a shirt. Of course, there will also be a plethora of different foods available to sample, most notably the piles of mussel shells fresh from the sea, whose contents are served with chips (“moule frites”). There will also be live music as well as a half-marathon which takes place on Saturday morning. Local shops will offer some serious discounts on their stocks, but other city districts will be filled with second-hand stalls where you’re guaranteed to find something to take home. Antiques, for example, are mainly traded on the Esplanade alongside the Deûle canal, whereas in the Old Lille district designer stores rub shoulders with private residents’ stalls. The Braderie de Lille takes place on 3rd and 4th September, starting at 2pm on the Saturday and ending at 11pm on the Sunday. To get there, you can get a P&O Ferry to Calais, from where it is only an hour’s drive to Lille. The opening weekend of September will welcome the 13th instalment of Belgium Beer Weekend, at Brussels’ magnificent Grand Place you’ll get the chance to meet brewers, participate in events staged for everyone who enjoys a good beer. Belgian Beer weekend will kick off on Friday 2nd of September with Brewers’ Day, some ceremonies such as the Academic session and enthronement ceremony will require special passes, but the event will be open to the public from 6 pm. The Belgian Brewers’ Association, Mashtaff of the Knights and the City of Brussels have banded together to open up three days for visitors and locals to enjoy the beers that Belgium is famed for. Brussels Grand Place is a landmark of tremendous beauty and history; it also makes a fantastic location for cool pint. Market stalls and beer vendours will set up there for you to have a wander and expand your beer repertoire. There are set to be over 50 brewers present at Belgian Beer weekend, these are to range from the small to larger companies so you’ll get a proper range of beers, lagers and ales from different brands. For those of you after a bit of history, or just a break from drinking there will be a procession of brewery carts from throughout the ages passing through the streets of Belgium. To get to Belgium in time for yet another fantastic beer weekend catch a P&O ferry from Hull to Zeebrugge, and from there you are just a short trip to all the beer of Belgium. Fans of all things maritime can score a double whammy this September by getting a P&O Ferry over to Rotterdam and enjoy a festival in and about the local port. The Wereldhavendagen (World Port Days) take part every year in the Port of Rotterdam, which is the largest port in Europe. This year, the festival takes place from 2-4th September, and it promises to be another fascinating few days for anyone remotely interested in the port’s history and activity. Among the things on offer at the World Port Days are tours of ships currently in port, seminars and exhibitions. The Port of Rotterdam has historically been one of Europe’s busiest ports, and has been a hub of industrial activity and a source of jobs for decades. The World Port Days will aim to bring the port and its unique characteristics closer to both local and global audiences, many of whom will never have seen, at close quarters, the workings, architecture and technology of a modern port. Tugboats, tankers, and inland vessels will all be open to the public, along with stalls set up by the different port companies. There will also be plenty of nautical demonstrations, where the port companies will show off their ships’ functions and capabilities to the public. For more information, head over to the official website. The Wereldhavendagen will take place in P&O Ferries’ Dutch port in Rotterdam. To get there, you can take a ferry from Hull.